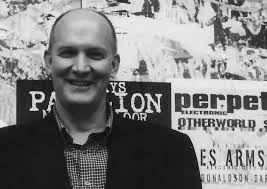 Two years ago Chris Agee undertook the role of Keith Wright Literary Fellow here at Strathclyde. In that time he has organised the Literary Lunchtime events at Café Gandolfi and ran the Keith Wright Memorial Prize. The Prize offers students from all faculties the chance to show off their creative writing skills. Now that his time as a Fellow is coming to an end I had the pleasure of sitting down with Chris and discussing, over a coffee, his recent work Next to Nothing, his time at Strathclyde and what he would be doing in the future. Q: You will be reading at the last Literary Lunchtime of the series, for students who aren’t familiar with it what can they expect? What I have done over the past two years at the literary lunchtimes is bring together a series of the best Scottish and Scots based writers. The very distinguished line up has included Liz Lochead, Alasdair Gray, John Burnside and Bernard Mclaverty who have read their work over lunch in Café Gandolfi. This event is open to staff and students of Strathclyde but also to the public. There is a dedicated core of students who attend the events who have a particular interest in creative writing. I always urge students to attend these events as one of the most important things you can do is to see a professional read their work. I find it surprising that more Journalism and Creative Writing students do not come along as this is what they will have to do themselves. There is an interaction between personality, voice and writing that can only be fully understood in the presence of a writer. Q: You will be reading an extract from Next to Nothing which deals with very difficult and personal subject matter. Did you find the writing process cathartic at all? Cathartic is a good word and yes I probably did find it some form of catharsis but I remember thinking very distinctly that it wasn’t therapy. I resisted the idea that anything could be therapeutic following the apocalyptic loss of my daughter so it was a catharsis but not a form of therapy. If anything it was more of an automatic reflex, art is incorporated in to the psyche and the poems came to me despite my initial resistance. It was old familiar practice in a new, transformed life and the poems just came to me. I didn’t entirely believe in what I was doing and at first the poems were just accumulating but eventually a collection was formed. It was about five years of work that distilled itself into Next to Nothing which was very well received critically. Q: Did you ever expect the critical response to the work to be so overwhelmingly positive? I really didn’t care. This is the one work in which literary reception, ego and reputation was completely meaningless because the work is about a human being whose memory transcends all of that. The title really expresses that. Next to Nothing is the loss of my daughter, the loss of the person who you love but is no longer there. The texts themselves are next to nothing compared to that loss. This is the most important book that I will ever write. Q: You hold dual Irish and American citizenship what was it that attracted you to Ireland? Naturally I read Irish writers at Harvard and I had an Irish friend, a fellow student, who got me working in Ireland in the summer of 1977. I also worked with a Harvard professor doing research in Ireland. All of that is secondary to my interest in going to Ireland, from a literary perspective. Ireland is a literary superpower. Heaney, Beckett, Yates. These are all enormous world literary characters and for such a small country Ireland punches well above its weight in terms of literary output so anyone with an interest in literature naturally gravitates towards Ireland. Q: You are an editor for Irish Pages. Tell us a little bit about that. Irish Pages has undoubtedly become the main literary journal in Ireland. We publish twice a year with roughly 225 pages. We give a a good outing to good Irish writing but a quarter of the work comes from Britain. The journal is half Irish writing and half international writing. The problem with the digital age is that publishing never ends, you can publish anything online but with the journal we have to be selective and only the best makes it in. Q: Have you enjoyed your time as a judge and what have been your most memorable moments from the competition? The most impressive thing is that the people who won last year were between 18 and 21 and the work was really very fine by any standards. The winner from last year (Scott McNee) has, in my judgement, a series future in front of him as a fiction writer. The value of a prize like this is that it helps writers to identify themselves as good writers. I am somewhat sceptical of prize culture in a wider literary context. There is too much emphasis placed on prizes but I think that the Keith Wright Memorial Prize is valuable because it helps writers to realise their potential. The downside is that the short list is usually just as good as the final winner and to me it is unnatural that it does not get the same reception. But there has been a good reception from all the faculties. Yes the largest amount of entries come from undergraduate J&CW students but we get entries from everyone from engineering students to post-graduate students. Q: What are your impressions of the University? Strathclyde is definitely a much better university than it is generally given credit for but it is often in the shadow of Glasgow. There is a very interesting, dynamic and lively student body that it much underestimated. Glasgow’s commitment to creative writing is much larger than Strathclyde’s and I would simply say that a good deal more funding and belief in creative writing is in order. Many universities are now realising how large and lucrative creative writing is and Glasgow has a creative writing department that is twice as large as Strathclyde’s. Glasgow has one of the best creative writing departments in the United Kingdom and I don’t see why this couldn’t be the case for Strathclyde. Q: Do you think that your time here will influence your work in the future? It is already influencing it. My fourth collection is called Now and Then and most of it is Glasgow based. I will continue to stay here and the city will continue to influence my work.